It's no secret that the British people love a good curry. There are so many Indian restaurants and curry houses, the curry scene in the UK is thriving. But recently I was chatting with a British friend who said that even though he loves curries and often does take-aways, he doesn't feel confident cooking one. All those spices involved in making curries and the long cooking time intimidate him. Also since he doesn't know whether he will be cooking curries regularly, he doesn't want to buy bottles of spices and waste them. Fair enough, I told him how when I first started cooking I used to use just a few basic spices and all my curries used to taste more or less the same. We had a good laugh over our kitchen disasters over the years and how we have evolved as cooks. Of course over the course of the conversation I promised to share a few cheat curry recipes which do not have long ingredient lists yet taste good. This is the first of those recipes. Cheat aachari paneer made quickly and with just a few ingredients and no spices. Don't look so surprised, curry with spices might be difficult to pull off and we are not going to do that. We will just cheat our way through and use a splendid short cut. 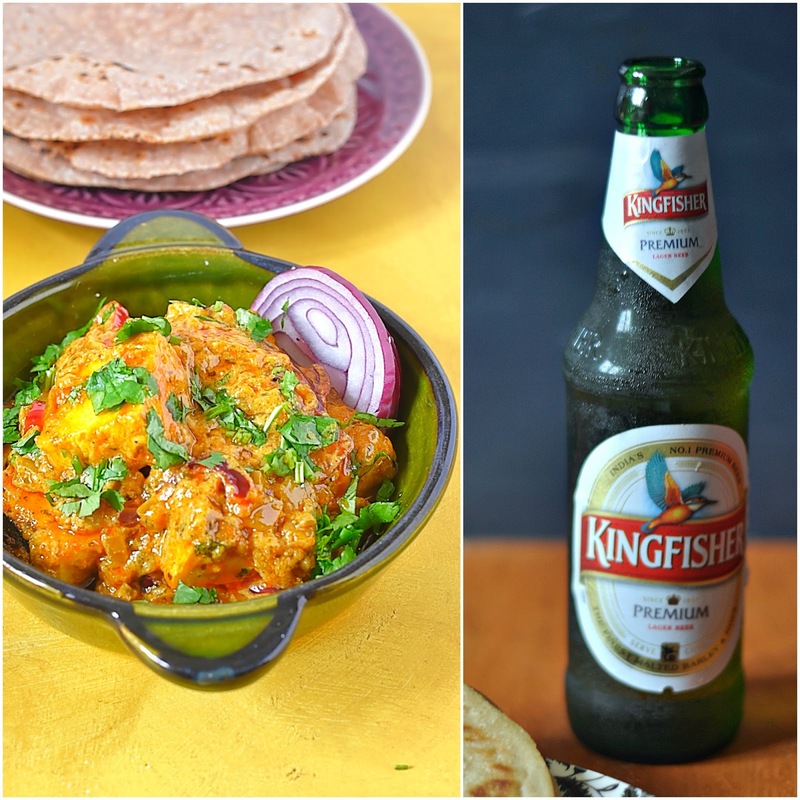 We love eating this spicy curry with chilled Kingfisher beer. 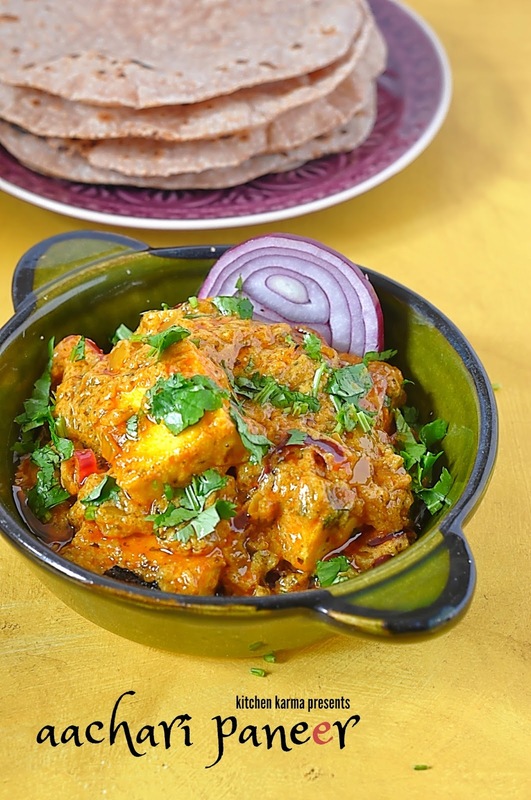 The beer works great cutting through the spiciness of the paneer and is very refreshing. Thanks to Kingfisher company for the beers.